3D marketing designs help consumers get the info they need to know about your business. Need to figure out ways to address big changes about your brand or company to your consumers? Major brands — from grocery retailers to destination and tourism venues — turn important and necessary communications into pleasant and memorable brand experiences with dimensional direct mailers. 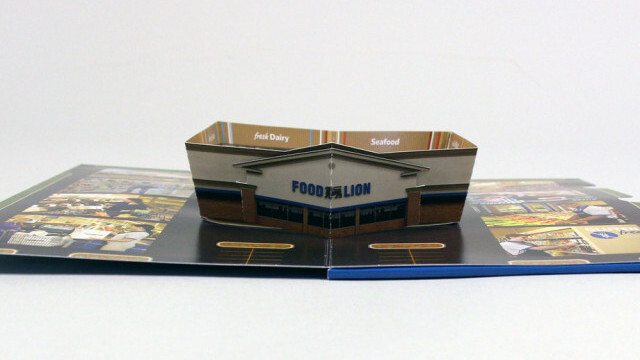 We designed a custom, pop-up flapper for grocery retailer Food Lion. The mailer informed customers of new brand enhancements and products. To make it really stand out, we added a voice narration to the piece that activated automatically when opened. 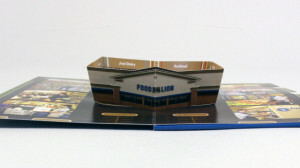 The retailer gave recipients an interactive experience that combined the imagery of a 3D replica of Food Lion’s store with audio information about the brand’s new look and feel, and its objective to present “Grocery shopping re-imagined” for its customers. 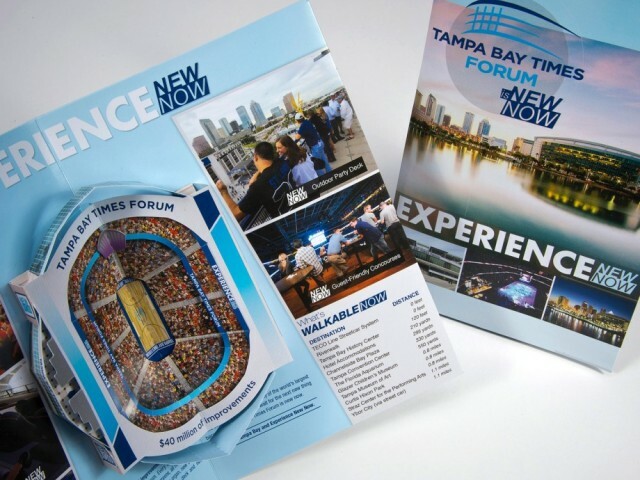 The Tampa Bay Times Forum (now called the Amalie Arena) also used an interactive mailer with sound to communicate changes about its venue. The mailer celebrated the completion of renovations to the Florida sports and entertainment venue and home of the NHL’s Tampa Bay Lightning and the AFL’s Tampa Bay Storm teams. The campaign encouraged recipients to “Experience,” the sights and sounds of their newly designed arena with a pop-up replica accompanied by audio of crowd applause and cheering that activates when the piece is opened. Next: Learn more about the multimedia components we can add to your next print campaign.